Bob Ferrigno brings to SynergEyes multi-disciplinary expertise in contact lenses and medical devices, as well as broad business management experience. Bob joined SynergEyes in 2015, and has led the implementation of programs formulated to strengthen products, services and support for independent eye care professionals and their patients. 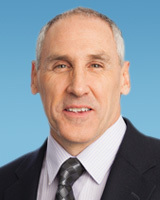 Prior to joining SynergEyes, Bob served as the President of North America for CooperVision, where he led the integration of the $1.2B Sauflon contact lens company acquisition, focusing on sales infrastructure, logistics, operations and launch strategy. Bob also spent 32 years at Becton Dickinson (BD), a global medical technology company, managing key areas including sales, marketing, international operations and global research and development. During his career with BD he held numerous positions with increasing levels of responsibility including vice president of global expansion, vice president of global strategic marketing and vice president of research and development. 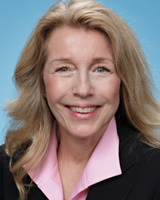 In addition, Ferrigno served 12 years in general management positions, including having responsibilities for the European pre-analytical systems business unit in the United Kingdom, and as general manager for international business for the company’s women’s health and cancer business. Carolyn Maduza brings to SynergEyes more than 20 years of successful experience in publicly traded and privately held companies with revenues ranging from start up to $100 million and multi-national in scope. Ms. Maduza will be responsible for growth strategies for SynergEyes, fund raising and capital management, and performance improvement. Ms. Maduza’s industry expertise includes medical diagnostics, biotech, healthcare IT and enterprise software. Her early career includes systems design, accounting and auditing (CPA), Wall Street corporate banking and investment banking. She has also served as Audit Committee Chair and Financial expert for various Boards of Directors in similar sectors. Most recently, Ms. Maduza consulted as strategist and interim Chief Financial Officer for Biomatrica, NanoCellect Biomedical, GenMark Diagnostics, and Helixis. Prior to consulting, Ms. Maduza served as Chief Operating Officer for Sidney Kimmel Cancer Center, Executive Vice President and Chief Financial Officer for Alteer Corporation and Senior Vice President and Chief Financial Officer for Stratagene. Ms. Maduza holds a Master of International Management from the American Graduate School of International Management, a B.A., Business Administration, from the University of Wisconsin, Milwaukee and a Certified Public Accountant, State of Illinois. 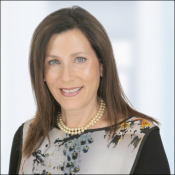 Dr. Sclafani is an alumnus of ICO and has spent the past twenty four years at the University of Chicago where she was an Associate Professor of Ophthalmology and Director of Optometric Services. Her clinical interests include contact lenses, corneal disease, emergency eye care, dry eye and surgery co-management. She was awarded the status of Diplomate by the American Academy of Optometry in the Cornea and Contact Lens and Refractive Technology section and is an international lecturer on these topics. She is the recipient of teaching awards from the University of Chicago and the Illinois College of Optometry. Her excellence in optometry was recognized by receiving the Illinois Optometric Association Optometrist of the Year and the AOA Legends Award. Dr. Sclafani’s leadership and advocacy roles for optometry include serving as Chair of the CLCS of the AOA, President of the IOA and President of Women of Vision. She is a frequent contributing author for numerous publications including Review of Contact Lenses, Contact Lens Spectrum, and Primary Care Optometry News.